There are 2 ferry routes operating between Northern Ireland and Scotland offering you combined total of 84 sailings per week. P&O Irish Sea operates 1 route, Larne to Cairnryan which runs 7 times daily. Stena Line operates 1 route, Belfast to Cairnryan which runs 5 times daily. As the frequency and duration of crossings on some routes varies we would advise that you do a live search for crossings from Northern Ireland to Scotland to get the most up to date information. Northern Ireland is part of the United Kingdom, located in the North-east part of the island of Ireland, with the Republic of Ireland in the South-west. Northern Ireland has plenty of inspirational locations, stunning landscapes and friendly people. 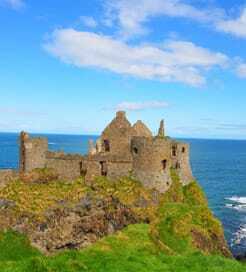 Each region in Northern Ireland is very distinctive with much to offer. Its capital and largest city Belfast was the birthplace of the Titanic and now has the world’s largest Titanic Belfast visitor experience to uncover the story of the Titanic. The ports of Northern Ireland provide the perfect gateway to the rest of the UK by ferry with regular and high speed crossings on offer to Scotland and the Isle of Man as well as a longer crossings travelling further south to England. Ireland features many ferry departures to the UK as well as some routes to the continent via France so you could also choose to drive to Ireland and sail from there. Scotland is the Northernmost of the four countries that form the United Kingdom of Great Britain. Surrounded by the North Atlantic Ocean to the West and North, the North Sea to the East and across the border to the South you’ll find England. 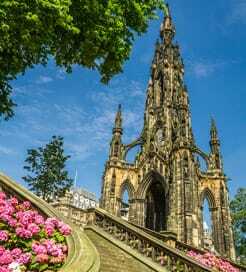 Scotland is a lively and friendly country, rich in history and heritage dating back thousands of years. People flock here to visit not only the beautiful mountains and valleys, rolling hills, forests and rocky coastlines but also for the experiences that Scotland has to offer. Whether you’re looking to play a game of golf at the very place it was invented or to visit one of the many distilleries for some whiskey tasting, Scotland has much to offer any visitor. In terms of arriving by ferry to Scotland, from Northern Ireland there’s a choice of year round services from and to numerous ports with sailings operated by modern and well-equipped ferries. There are no longer any direct ferries from continental Europe to Scotland however there are numerous crossings to England and Ireland that get you close enough.